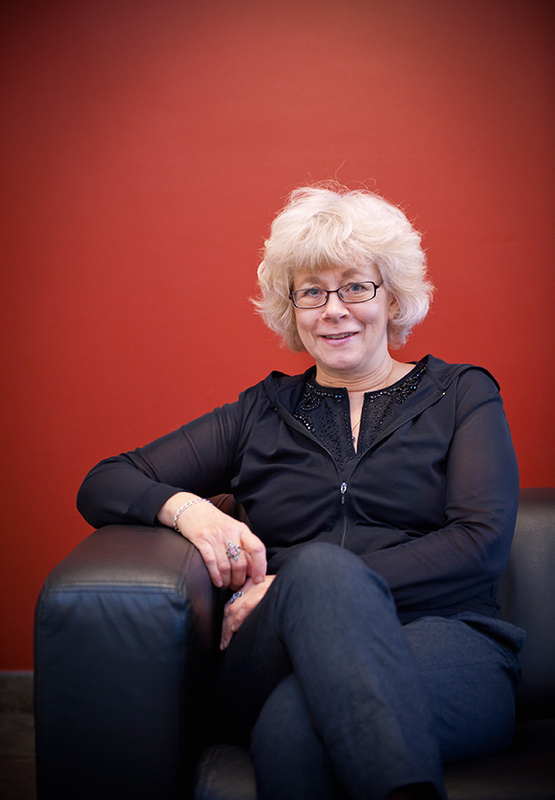 Katarina Kieri is member of the Astrid Lindgren Memorial Award jury since July 1st. Her body of work encompasses novels, poetry and short stories for children, young adults and adults. Initially she intended to write only poetry, but she later felt increasingly drawn to the prose medium. Tell us about yourself. Who is Katarina Kieri? A description might sound like this: Born in Luleå with deep roots in the Torne Valley. An author who write books instead of going around feeling ashamed about oneself. You have published two novels, four collections of poetry and a dozen children’s books since your debut in 1993. You´ve also written several plays. What’s your relationship to the different genres? For me, the dividing line is not between writing for adults or for children and young people, but between the prose on one hand, and poetry, drama and picture books on the other. The former is all about structuring thoughts in a line that fairly can be followed. The latter is more out of being in some kind of state and to try to describe it. It’s a totally different way to behave in terms of work. In one case I sit on my chair at my desk working all day. In the second case I wander restlessly around anywhere, which is pretty exhausting. You are trained recreation teacher and worked as such for nearly ten years. How has that influenced your writing? Actually most as an extraordinarily wrong choice in my life. When I had worked as a recreation teacher for eight years my whole body screamed after change. And, as I´m a lucky person living in one of the world’s richest countries, I had the possibility to sit down and think about what I really wanted to do. It didn´t take long before the answer became obvious to me. I wanted to grab hold of my writing. When I visit school classes now days, I usually say that it’s good to go the wrong way, because then you know you should change direction. What gives you inspiration in your writing? Complications within and between people. And the fact that we are so wonderfully irrational and contradictory. For example. I will read a biography of Tove Jansson, a randomly selected Moomin book and Eyvind Johnson’s novel Romanen om Olof (The novel about Olaf). 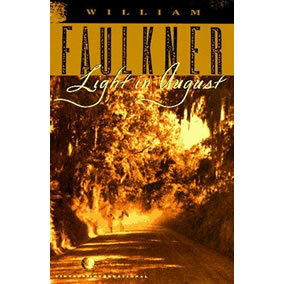 Everything might not be read, but to me the dream about summer reading is almost as good as the actual reading. Boel Westin is Professor of literature at Stockholm University, specializing in children’s and young adult literature, as well as researcher and literary critic. Since July 1 she is Chairman of the Astrid Lindgren Memorial Award jury. Tell us about yourself. Who is Boel Westin? I was born in Lund, but moved to Stockholm when I was about seven. I´ve always loved books and literature of all kinds. I worked with management a few years after taken my Bachelor degree, but when I started study for a PhD in Comparative Literature, I felt that I had come to the right place. You are known internationally for your biography of Tove Jansson. What is it about her that fascinates you? Her aesthetic diversity. Tove Jansson was a universal genius with a sumptuous expression longing and she worked in a lot of different genres as a writer and artist. In her works, there is both passion and emotion, politics and ideology, and through the Moomin world she has developed a philosophy and various attitudes to life. We can recognize ourselves and not the least our surroundings in the stories. They can interpret the world around us. Tell us about your work as Chief Editor of A New History of Swedish Children´s Literature! 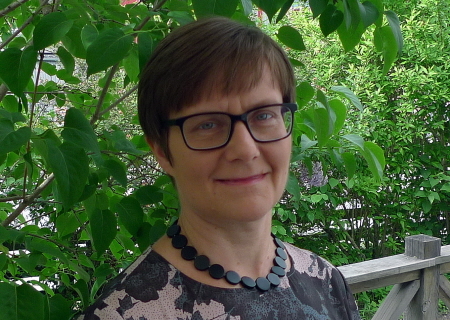 The research work is very exciting and also very instructive.The Swedish history of children’s literature has not previously been written in the long perspective that we work with, that is, from the 1300s to today. New conclusions come up which I hope will to be able to change historiography, especially when it comes to older children’s and young adult literature and the perception of children’s reading in earlier times. To answer your daughter’s question: probably. What I like about narrative painting, which is probably a more precise description of what I do that ‘illustration’, is that there is a little mystery in a picture’s past and also its future. All we can see as an audience is a particular moment, and I suppose I’m trying to make that moment as charged as possible, exploiting the stillness and silence of painting, which I love. Rules of Summer is basically a series of such charged moments that collectively describe, in a weird and fractured kind of way, the relationship between two boys who are probably brothers (it’s never clear, and I usually don’t ascribe any particular identity to my story characters). There is no traditional narrative, although there is a kind of building conflict and resolution told through several oil paintings, each accompanied by an obscure rule that appears to have been broken by the youngest boy: Never step on a snail, Never leave a red sock on a clothesline, Never give your keys to a stranger, and so on. It’s both frivolous and serious at the same time. What were the highlights of working as a concept artist and animator on the various films you’ve worked on, including The Lost Thing? How does it compare to working on artwork and narrative for a book? The main difference is collaboration. Books are very solitary projects for me, even in the past when I’ve collaborated with other writers I’m still very much working on my own. The Rabbits, for instance, with John Marsden involved no real discussion between author and illustrator during production, and that’s not uncommon with picture books, that can work fine. Film, however, is fundamentally about collective creativity, simply because it’s impossible for one individual to do everything (with rare exceptions). How is that different? It can actually make the process a lot more fun, a lot more fluid, because there’s a conversation between diverse imaginations, and those moments of collaboration would be the highlights. The possible down side is that certain compromises are required, but that’s nothing unusual, and not necessarily a negative thing. The main thing is that everyone is working towards the same objective, the realisation of which can take many different forms. You learn not to get hung up on any singular vision necessarily, because it just might not be able to be realised in practical terms: instead you take a core feeling and adapt it as best you can. What projects are you developing at the moment? Not much at present, partly on account of looking after our baby daughter at home a lot of the time (ie. she is the new project!). I recently illustrated a collection of Grimm fairy tales for a German publisher, and am trying to get that work together for an Australian edition. That was an interesting project as I put aside painting and drawing, and for the first time decided to illustrate each story using clay sculptures, which I then photographed. It forced me to simplify my work, and not think too hard about each one, modelling the forms quite spontaneously, which I found very refreshing. Gosh, I feel I haven’t been paying much attention lately! I’ve been revisiting a lot of older work that left an impression on me when I was younger, particularly Tim Winton as a fellow West Australian whose stories are very landscape-inspired (as I would say mine are). In the SF vein, I very much like the work of Jeremy Geddes, amazing oil paintings with subtle narratives. Comics by Many Ord I find very amusing and honestly drawn. Both these artists make some use of the Melbourne urban landscape that I’m gradually tuning in to. It hasn’t changed the way I work very much, in fact that hasn’t changed significantly since I had my first illustrations published in Aurealis and Eidolon magazine in the early 1990s. I’m sitting at the same desk, literally, and using the same materials. I have made slight forays into new media, co-directing an app adaptation of Rules of Summer which was very interesting. Overall I’m quite lucky, as my early career was nurtured by small independent publishers who were happy to take certain risks with unconventional work, and my stories seem to have often appeared at the right time; for example, coinciding with a renewed interest in graphic novels and picture books for older readers. If I was starting over again, I’m not sure how I might go. What will I be working on in five years? No idea, or else more of the same! I always have a bunch of ideas for books rattling around, but they rarely coalesce into something that is worth pursuing, it’s such a commitment of time and effort. I’m also interested in spending more time doing straight landscape painting (ie. not illustrative or fantastic). The Arrival is also being considered for feature film development, but any news on that front is likely to be some way off, and I’m not actively thinking about it too much just now. It could make a brilliant film, but only if the right people are at the helm, and finance is a whole other conundrum. Whatever happens, I’ll most likely continue working from the same desk as I’ve always done, a pencil in one hand and an eraser in the other. Shaun Tan grew up in Perth, Western Australia and currently works as an artist, writer and film-maker in Melbourne. He began creating images for science fiction stories in small-press magazines as a teenager, and has since become best known for illustrated books that deal with social, political and historical subjects through dream-like imagery. The Rabbits, The Red Tree, The Lost Thing, Tales from Outer Suburbia and the graphic novel The Arrival have been widely translated throughout the world and enjoyed by readers of all ages. Shaun has also worked as a theatre designer, a concept artist for Pixar and Blue Sky Studios, and won an Academy Award for the short film adaptation of The Lost Thing. In 2011 he received the prestigious Astrid Lindgren Memorial Award in Sweden, in recognition of his services to literature for young people. Anna Höglund is considered one of Sweden’s leading illustrators. 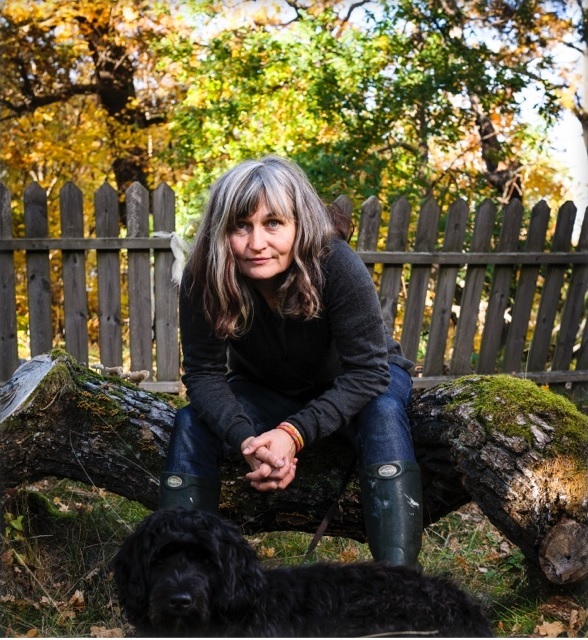 Since July 1 she is member of the Astrid Lindgren Memorial Award jury. Tell us about yourself. Who is Anna Höglund? Born and raised in Stockholm. Five children, one dog, one cat, six chickens and a nice husband. Never had any time for school and authority figures. Quit school in eighth grade and left home. Reading, writing and drawing have always been my lifeline. I published my first picture book at the age of 20, thinking it would be a good way to fund my painting career. I was terribly disappointed by the financial outcome, but all I wanted to do after that was to create picture books. For me it’s the ultimate form of expression. Your latest book, Om detta talar man endast med kaniner (This Is Something You Talk About Only With Rabbits), has attracted a lot of attention and was nominated for the 2013 August Literary Award, among other prizes. It has been described as “one of this year’s boldest and most ambitious Swedish picture books,because it takes the sadness of the young protagonist very seriously, and because it stands out as a picture book about and for teenagers.” How did the book come to be? I wanted to console a certain 13-year-old. However, as the young person concerned correctly pointed out, it is perhaps mostly about myself. Pictures can sometimes express what lies behind the words. It can be helpful to tackle subjects that people find it hard to talk about. The way fairytales and dreams do. Isol, last year’s ALMA recipient, believes that a book actually has two authors: one for the text and one for the pictures. Do you agree? Yes, when I’m illustrating someone else’s work. But sometimes, when I’m creating my own stories, text and pictures flow together and can’t really be separated. Jeanette Winterson’s book about art will last me a long time. I’ll read half a page, let my thoughts wander, have a nap, wake up invigorated and read some more. Johan Palmberg works as a rights agent for Astrid Lindgren’s books and is Astrid Lindgren’s great-grandson. Since July 1 he is member of the jury. Tell us about yourself. Who is Johan Palmberg? That’s a tough question – I’m really not all that different from anyone else. Besides what you already know, I’m very much into music. I play mainly piano in a bunch of different settings. Last year I released an EP with the title Pretend, under the name Johan Nyman och Kol- och stålunionen. It was entirely self-produced and isn’t really relevant here. For obvious reasons, I’m also interested in anything to do with children’s arts and culture. This is a product of my family background and upbringing, when there were always so many great books around to pique my interest. Not just Astrid’s own books, but also books that she helped get published when she worked at publishing houses, and books that were sent to her for other reasons. My interest really blossomed when I first joined Saltkråkan in 2009. I’m really looking forward to getting down to work as a jury member! You recently graduated with a bachelor’s degree in political science. What attracted you to that subject? The simple answer is that it was the subject I enjoyed most in high school. Above all, I wanted to acquire some practical tools and skills so that I could analyse society and arrive at well-reasoned opinions on a range of issues. What I should have realized is that the more you learn about something, the less certain you become of it – but in any case, I had fun along the way! Is there a political issue that you studied with particular interest? 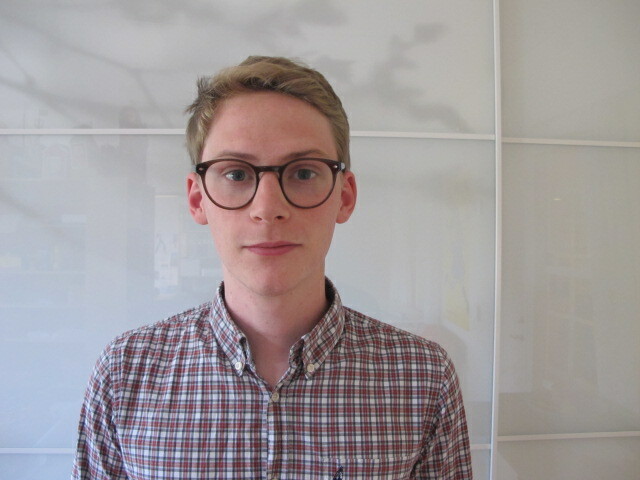 I focused on political theory – the least easy-to-grasp branch of political science – and was primarily interested in the question of what could be considered a fair distribution of resources at both national and global level. You are Astrid Lindgren’s great-grandson. Do you have any special memories of your great-grandmother? She was getting on a bit when I arrived on the scene, so I don’t really have any memories of playing games, climbing trees and that sort of thing – I’ve just heard about all that from my dad. What I do remember is that she loved to tell stories about the family, and my grandmother would eagerly fill in the details. These stories were often a bit scary and sad. We used to go to Astrid’s house on Dalagatan for Boxing Day dinner every year. I remember how exciting it was for us kids to be given the run of the house, even though all the furnishings were so fine and felt so valuable. She also had the world’s greatest library, an endless source of fascination. I’m going to be at work all summer, so won’t have a lot of hammock time, but I’ve just started reading mot.vidare.mot by Johan Jönson and Jakten mot nollpunkten by Carl-Johan de Geer, which will keep me busy for a while. After that, my plan is to read some of the previous laureates to refresh my memory and get an idea of how the jury thinks. And then I hope to make a start on some of this year’s nominees! Congratulations Tamer Institute celebrating 25 years! 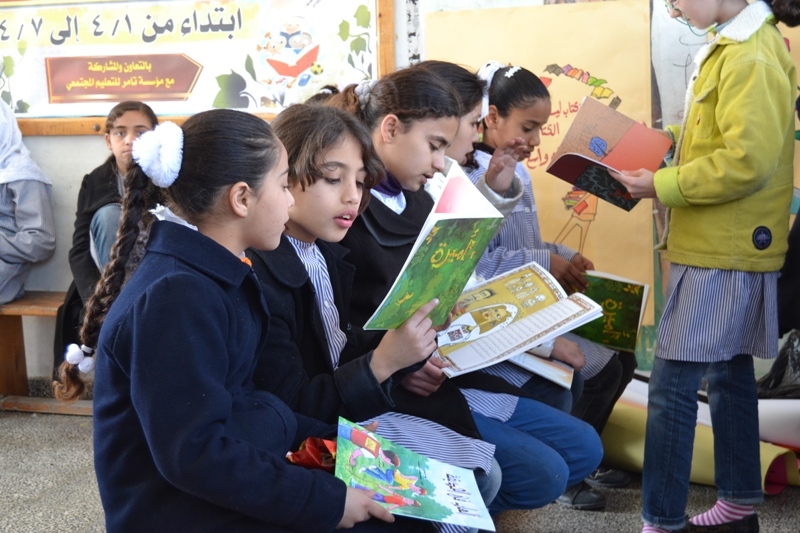 During April, Tamer launched the National Reading Campaign in the Palestinian Society under the slogan “Reading: A Rite and A Print”. 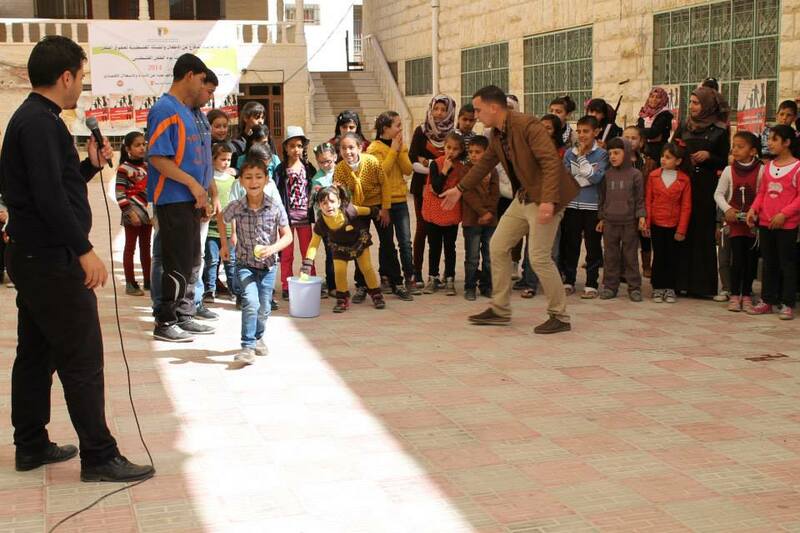 The campaign included activities at various locations where the Palestinian society is based. 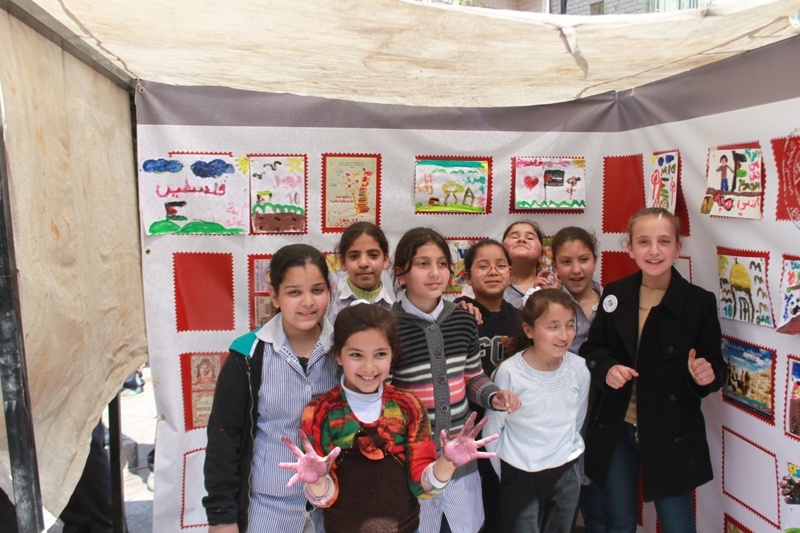 The Campaign reiterated the wide partnership with and participation of at least 350 Palestinian local organizations, community centers, libraries and youth clubs. Two Reading promotion postage stamps was adopted by the Palestine Ministry of Telecommunications and Information Technology . 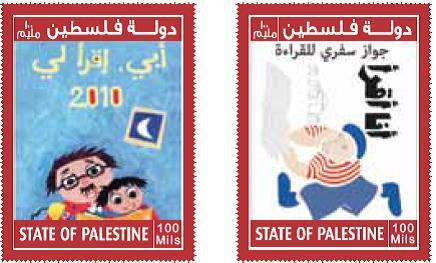 Through Tamer’s continuous and serious initiatives to reach decision- makers to work and promote reading in the Palestinian society, The Palestine Ministry of Telecommunications, has adopted the production of two Palestinian official postage stamps that are taken from Tamer’s posters and visual material related to reading. 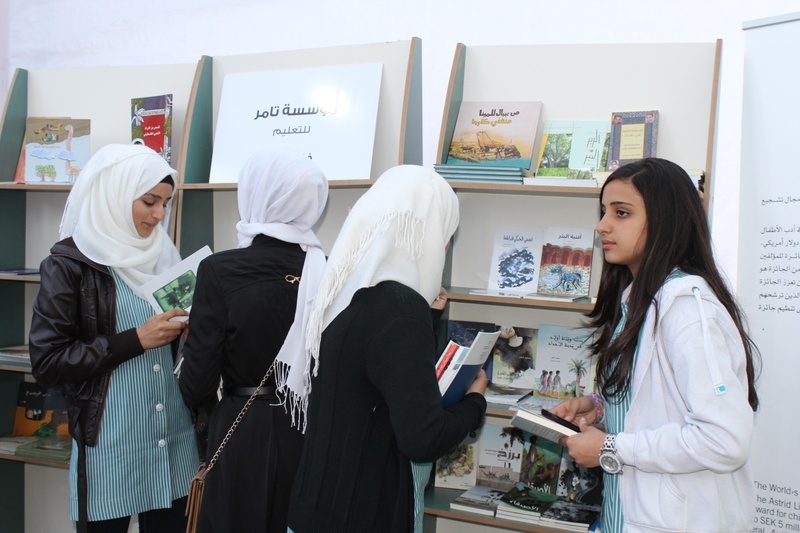 Participation in the Palestine International book-Fair 2014 which was conducted in April. 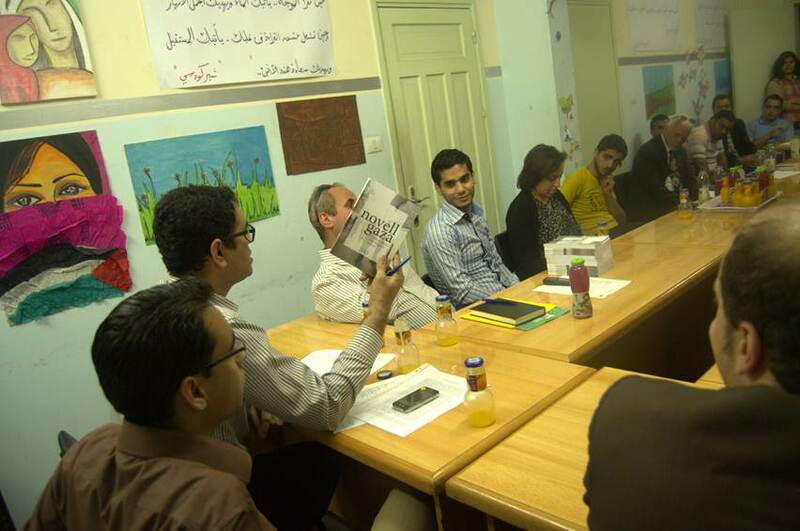 Daily activities for children, young adults, families, illustrators, writers and publishers were organized. 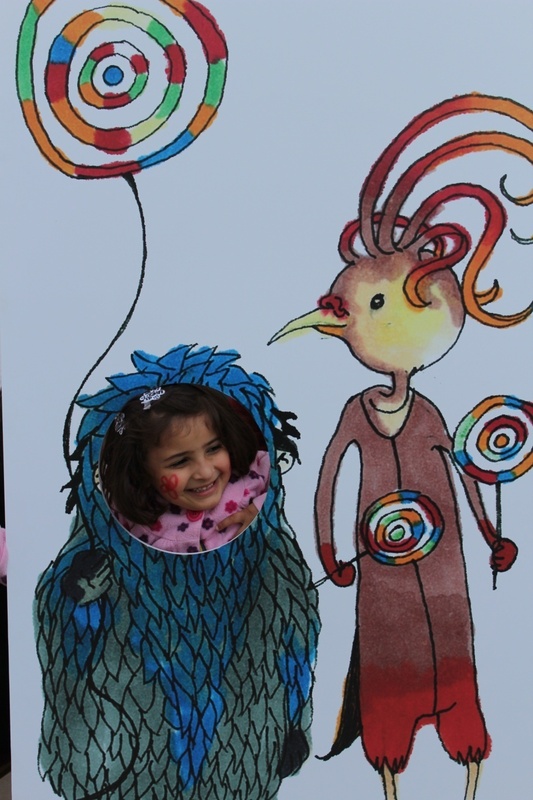 Musical shows, books launch, and galleries for Tamer’s books illustrations took place, thus making the fair an opportunity to highlight that reading is FUN, through connecting the different shows with Tamer’s books. The launch of the Novell Gaza Book. The book is a collection of short stories written by a group of Palestinian youth, and it serves as a free platform for imprisoned and besieged people to unleash their sadness, happiness and dreams full with imagination and fantasy about homeland and future. It proves that there is life in Gaza as there is death; there is happiness as there is sadness, there are people who are able to dream and there is passion to live. This book is important because it is directed to the international community through presenting ten ambitious English texts written by youth. It bridges the cultural gabs between Gaza and the rest of the world. 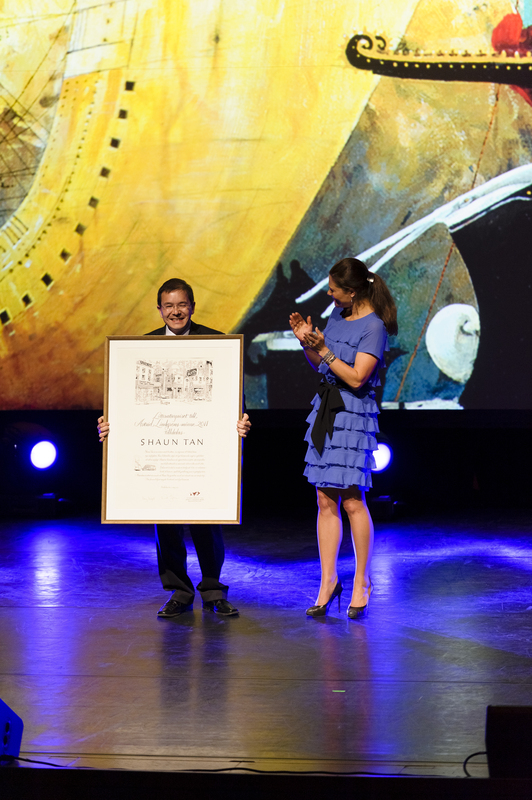 The Tamer Institute was presented to the Astrid Lindgren Memorial Award in 2009.